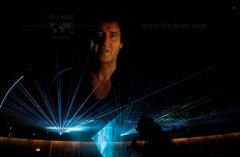 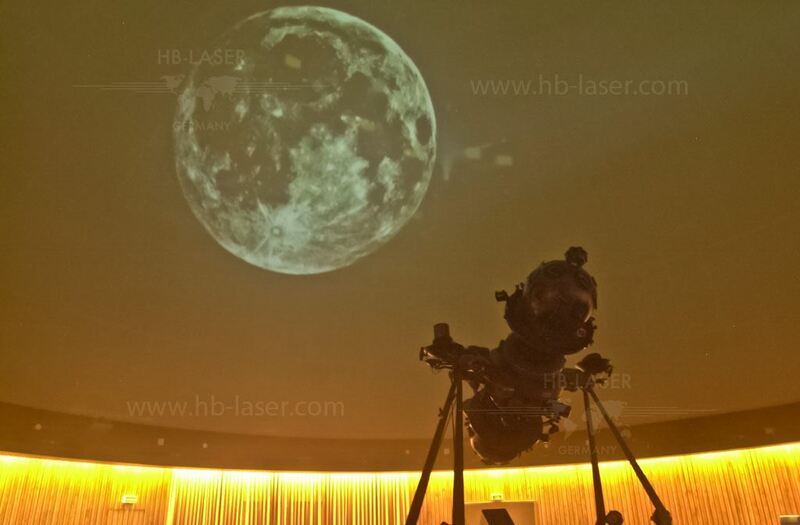 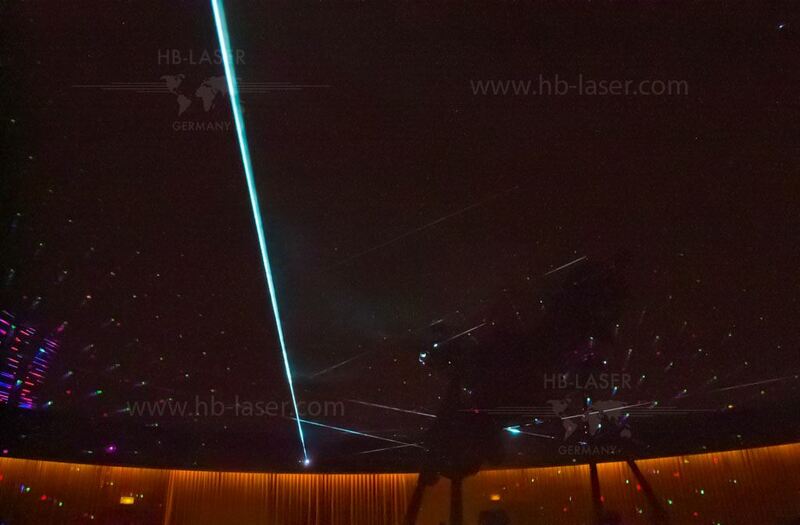 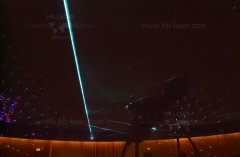 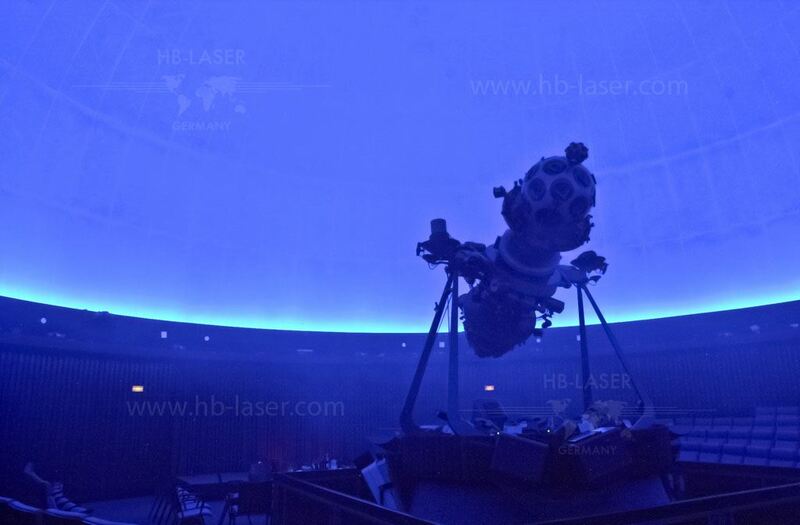 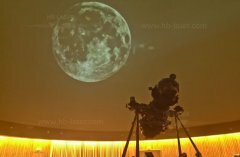 HB-Laser implemented a huge multi media show installation at the Nuremberg Planetarium (Germany). The main show was synchronized to the music of the Queen song "Heaven". This multi media show became very populatr, even outside of Germany. 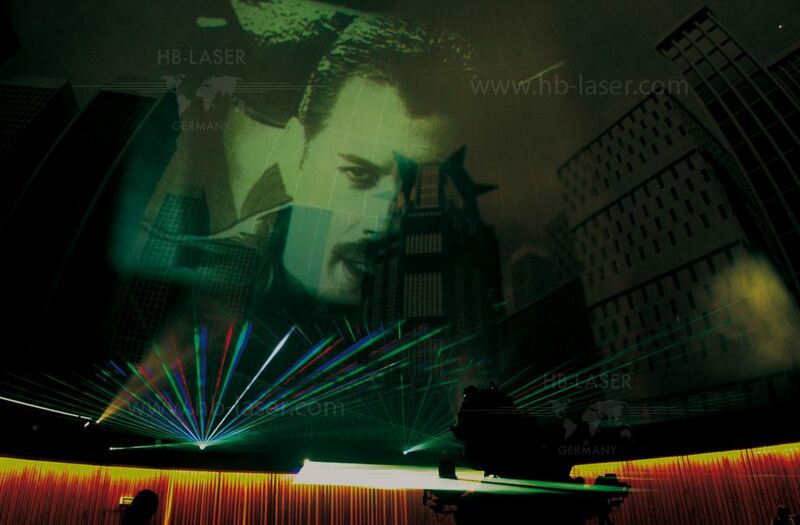 The whole show was done with four fibre-fed output projectors and combined with 48 screens, environmental as well as show lighting a professional sound system and fog/haze for visualizing the laser beams and lighting effects.